'Start Here': Mueller's filings, Will Barr may return as AG and Huawei's CFO is arrested. What you need to know to start your day. The special counsel is set to file a number of key documents today. It's Friday, Dec. 7, 2018. Thanks for choosing to start here. Special counsel Robert Mueller's team is set to reveal new details today about two key players in the Russia investigation. In Washington, the special counsel's office is due to submit to federal court a document containing information on how President Donald Trump's former campaign chairman, Paul Manafort, allegedly violated his plea agreement. Last week, prosecutors accused Manafort of repeatedly lying to federal investigators. Manafort has disputed the accusation. In New York, prosecutors are expected to file a memorandum recommending a sentence for Michael Cohen, Trump's longtime fixer and former attorney. Cohen pleaded guilty last week to lying to Congress about discussions involving Trump Tower Moscow. He also pleaded guilty earlier this year to eight counts, some related to hush-money payments, in a separate case brought by the Manhattan U.S. Attorney's Office. ABC News Senior Investigative Producer Matthew Mosk tells us what to we can expect today: "In a way, the stars are aligning on the court calendars both in D.C. and in New York." Ever since Jeff Sessions resigned as attorney general at Trump's request, Matthew Whitaker has served as the acting head of the Justice Department. But prior to joining the administration, Whitaker publicly suggested cutting off Mueller's investigation, which made it unlikely Whitaker would be confirmed permanently. ABC News Chief White House Correspondent Jonathan Karl now tells us Trump has told advisers he'll nominate William Barr, who previously served as attorney general under George H.W. Bush. 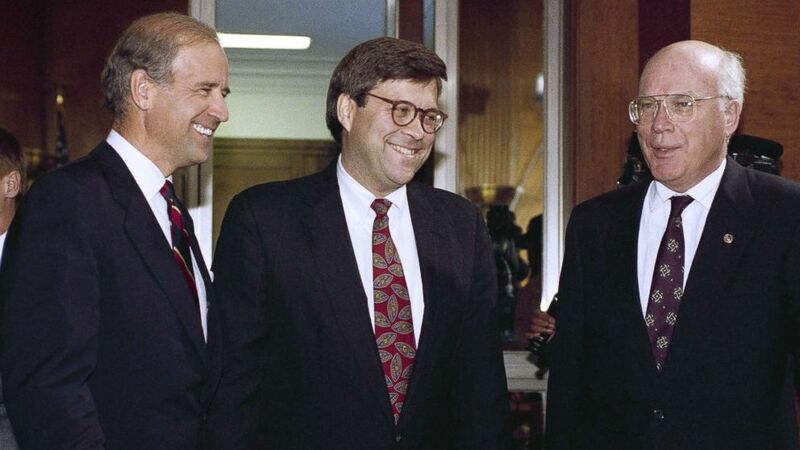 (John Duricka/AP, FILE) Attorney General nominee William Barr is flanked by Sen. Joseph Biden and Sen. Patrick Leahy prior to Barr?s nomination hearing before the committee on Capitol Hill in Washington, Nov. 12, 1991. The chief financial officer of Chinese tech giant Huawei recently was taken into custody in Canada at the request of the U.S. government. Meng Wanzhou, daughter of company founder Ren Zhengfei, was "provisionally detained" at the Vancouver airport and faces extradition to the United States, according to a statement from Huawei. Reports suggested the arrest could be related to a U.S. investigation into whether the telecommunications giant violated sanctions against Iran. China has demanded Meng's release. ABC News Chief Business and Economics Correspondent Rebecca Jarvis says there's speculation the CFO's arrest may become a bargaining chip in the U.S.-China trade war. "This is a company that many U.S. companies, as well as U.S. regulators, have looked at over the years," Jarvis says, "because there are questions about security: Are they stealing trade secrets? Are they monitoring U.S. patrons, U.S. consumers with their technology?" 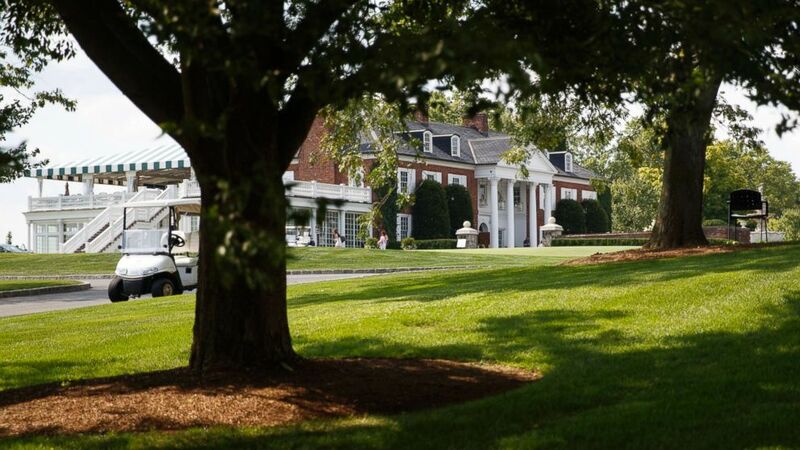 Two women have come forward with stories of working at the Trump National Golf Club in Bedminster, New Jersey, as undocumented immigrants -- and both said managers knew about their immigration status. Victorina Morales and Sandra Diaz each told the New York Times they were hired as housekeepers even though they entered the country illegally. ABC News Chief National Correspondent Tom Llamas spoke with the women, who described what it was like working for Trump and his family. The White House referred ABC News to the Trump Organization for comment. A spokesman for the Trump Organization said: "We have tens of thousands of employees across our properties and have very strict hiring practices. If any employee submitted false documentation in an attempt to circumvent the law, they will be terminated immediately." (Carolyn Kaster/AP) The clubhouse of Trump National Golf Club is seen from the media van, Aug. 9, 2018, in Bedminster, N.J., before a President Donald Trump meets with state leaders about prison reform. 'Evolved': Kevin Hart, who in a since-deleted 2011 tweet said that if his son played with his daughter's doll house he'd break it over his head because "that's gay," has stepped down as host of the 2019 Academy Awards because "I do not want to be a distraction." 'We're running taped programming': The building containing the New York headquarters of CNN, a network the president of the United States of America has berated as "unwatchable" and "a disgrace to the broadcasting industry" and "an arm of the Clinton campaign" and "fake news" and "THE LEAST TRUSTED NAME IN NEWS" and "FAKE NEWS - THE ENEMY OF THE PEOPLE," was briefly evacuated Thursday night because of a bomb threat. 'When I came into office, the stock market was from a different planet': The president loves talking about the stock market when it's up but not so much when it's down. 'I hope the gentleman he pushed has a speedy recovery, and for the individual that did push him, hopefully he can do a little soul searching on what he did was wrong': A man in Los Angeles randomly pushed another man into oncoming traffic. 'Fairly similar stories': An American priest is accused of sexually abusing young boys while working in the Philippines. 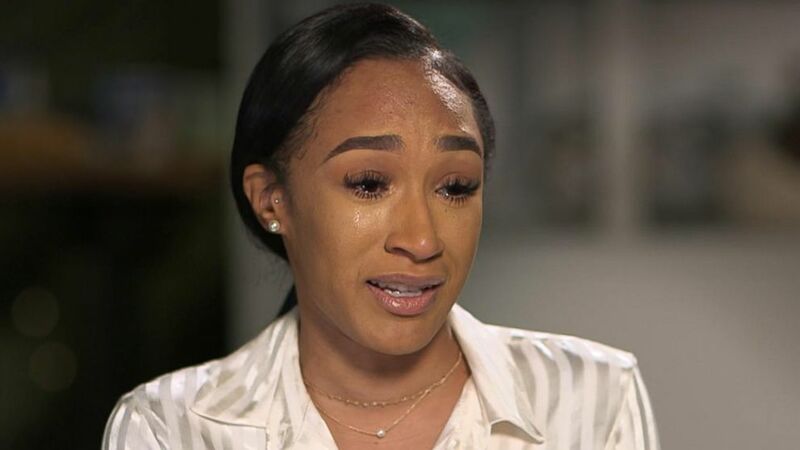 NFL player Reuben Foster's ex-girlfriend describes alleged abuse: Elissa Ennis claims she and the former 49ers linebacker were trying to work on their relationship when he allegedly attacked her -- and she was "shocked" when the Washington Redskins signed him. Elissa Ennis claims she and the former 49ers linebacker were trying to work on their relationship when he allegedly attacked her and she was "shocked" when the Washington Redskins signed him. 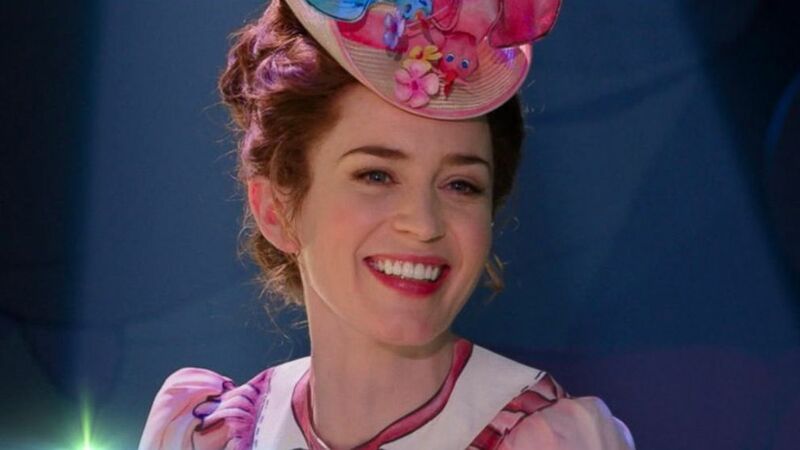 'Mary Poppins Returns': Behind the scenes of the new film: Emily Blunt, who plays Mary Poppins, and Lin-Manuel Miranda, who plays Jack the Lamplighter, describe how they approached their roles. 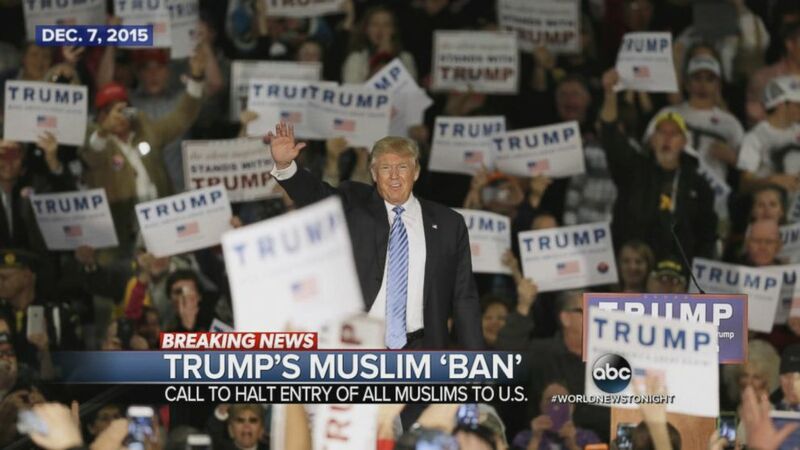 Dec. 7, 2015 -- Presidential candidate Donald Trump proposes a Muslim ban. 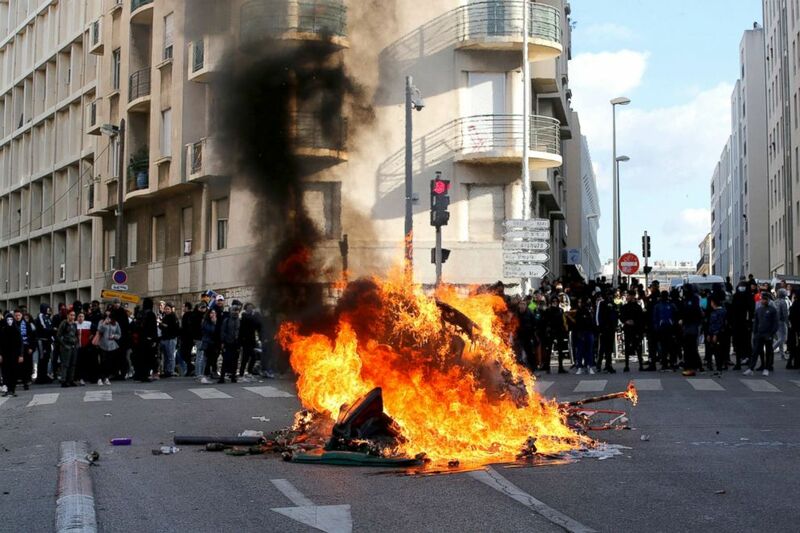 (Jean-Paul Pelissier/Reuters) Trash bins burn as youths and high-school students attend a demonstration against the French government's reform plan in Marseille, France, Dec. 6, 2018. Police are searching for a man who went berserk ordering a bagel at a deli. 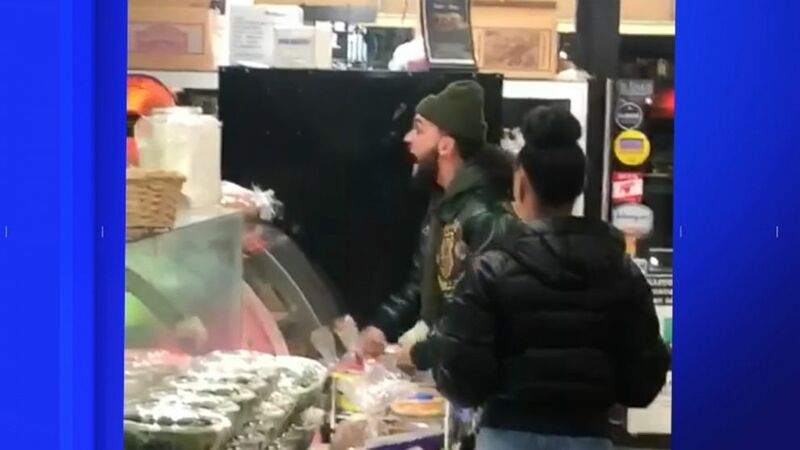 The man demanded that the deli worker make him a cinnamon raisin bagel with bacon, egg and cheese, video shows.